Compliance is still king. According to a recent PharmTech Survey, sponsored by Sparta Systems, 73 percent of respondents selected maintaining compliance as a top quality objective for 2018. 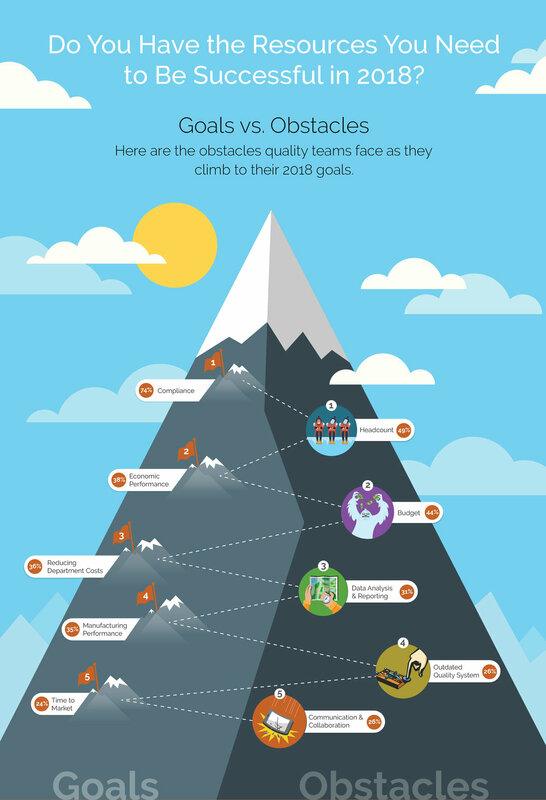 While it’s not surprising that quality teams continue to focus on compliance, it is interesting to see that nearly 40 percent of respondents named economic performance as a top quality objective for 2018. As quality teams shift their focus to performance-oriented goals, we expect to see senior executives increase investments towards continuous improvements such as hiring and implementing new quality systems. This would be a major relief for the 49 percent of respondents that named limited headcount as an obstacle to achieving 2018 objectives. Download the 2018 Pharma Quality Outlook survey report to learn more.